Become A Bartender Today ! Same South Hills Location Since 1978! Please be aware that we are in the process of updating our Website, so if things seem a bit off we apologize! Elite Bartending School is dedicated to providing a quality educational experience for students throughout the greater Pittsburgh area.Our professional instructors have many years of bartending experience and are teaching a modernized curriculum that encompasses the most popular, in-demand mixed drinks that are seen and ordered at high end, upscale establishments all over the Pittsburgh area. 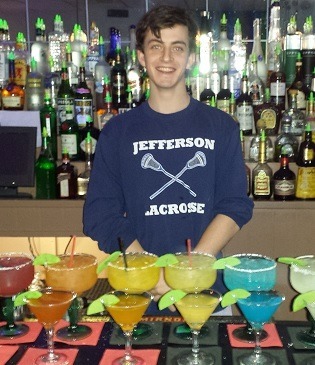 BARTENDING IS ONE OF THE BEST JOBS YOU CAN LEARN! Imagine working 25 hours a week and making more money than someone who works 40+ hours a week.Bartending can be a full-time job or a great way to supplement your income.This is a skill you have forever and will make you a superstar at any party.We offer Day, Night & Weekend Classes to accommodate anyone’s schedule.Fill in a request for information and set up a tour today. TRAIN BEHIND AN ACTUAL BAR! The classroom at Elite Bartending School in Pittsburgh is designed to simulate an actual bar. There are no desks-and-chairs here!We promote a fun, relaxed, professional learning atmosphere.On your first day of class, you are placed behind a fully equipped bar mixing drinks under the supervision of one of our qualified instructors. 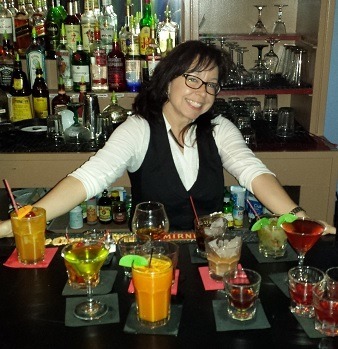 DISCOVER WHAT MAKES A GREAT BARTENDER! Obviously, bartenders need to be knowledgeable about today’s most popular drinks, but there is a lot more to it than just creating delicious combinations.You must be completely fluent in the tools of the trade and the standard bar equipment, drink preparation order, multi-tasking, and speed techniques.And don’t forget the most important thing – the customer. This is the service industry and making the customer happy is what this business is all about.Customer service is what will turn that $1 tip into a $3 tip. It is what will keep your customers coming back time and again.The team at Elite Bartending School in Pittsburgh focuses heavily on this skill and it is integrated into every part of our curriculum. This ensures that along with the drink knowledge and bar fluency, our graduates have all the customer service skills they need to succeed.